Want to learn more about successful social enterprises? Then this trip is for you! 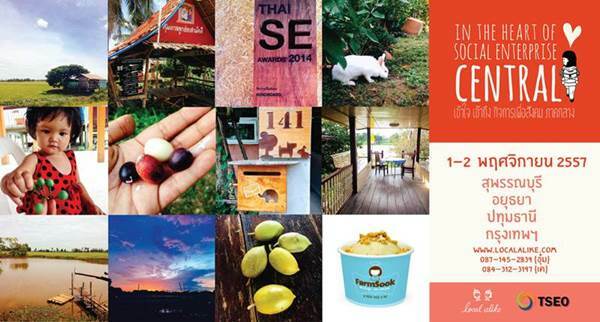 Local Alike, in collaboration with the Thai Social Enterprise Office (TSEO), would like to invite you to join us on the trip "In the heart of social enterprises Central" on 1-2 November 2014. Take this opportunity to learn more about successful social enterprises that are making positive impact to their communities and the central region of Thailand. During this trip, you’ll get to know the change makers behind scene and explore how their businesses come about. There, you will do some activities, but above all get to know these successful Social enterprises! The more friends you come with, the less you pay!